Maintain the beauty of your youth! 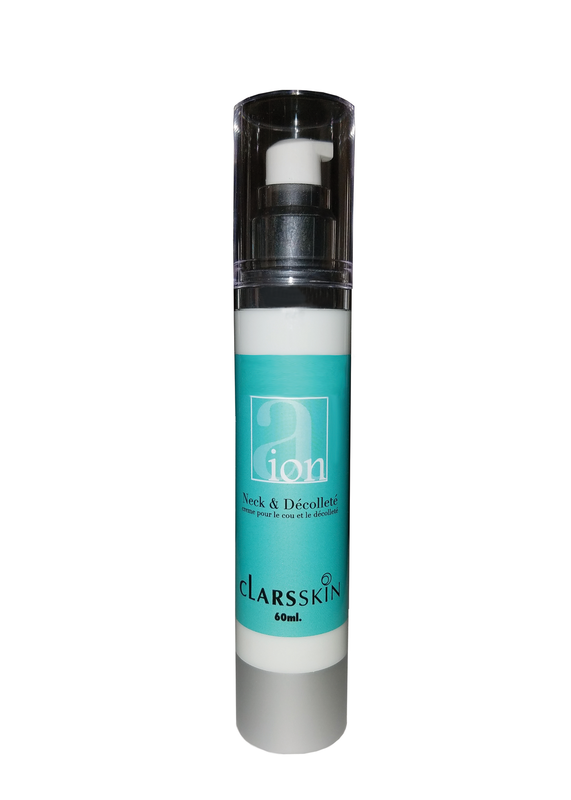 Daily use of Aion will help to preserve the natural essence of your skin. The rigors of modern living can rob your skin of its natural moisture and cause it to lose elasticity. Aion renews your skin by rehydrating and releasing the purity of your skin leaving supple healthy cells that naturally lift and tighten to reveal a renewed you. Aion’s Neck & Décolleté is a restorative cream that tightens, firms and replenishes lax skin, reduces the appearance of wrinkles and provides hydration with immediate and long-term benefits. Directions: Apply to the neck, throat and décolleté in an upwards motion morning and night.